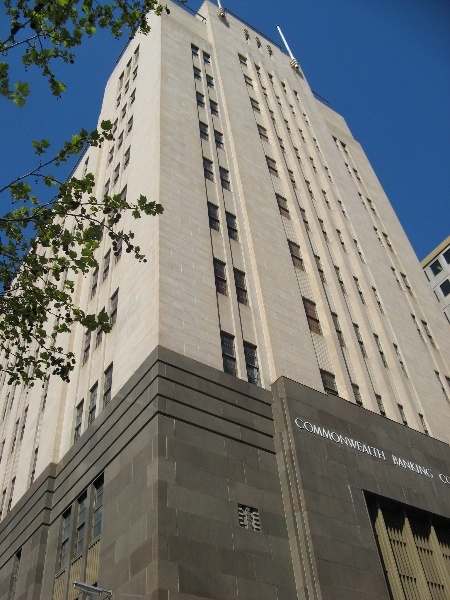 The former Commonwealth Bank of Australia building is an office building constructed in 1939-1941 to plans by the Works & Services Branch (Victoria) of the Commonwealth Government's Department of the Interior under the Works Director H M Rolland. The builder was Lewis Construction Pty Ltd. The Commonwealth Bank had been founded in 1911 by the Australian Government and during the following decades amalgamated with many of the State Banks. In the 1930s it embarked on an intensive building program and opened many new branches, rather than relying as before on post office agencies. With the need to minimise imports and the use of materials essential to the war effort locally-made materials and non-ferrous metals were used wherever possible in the construction. The building conformed to Melbourne's 132 foot (40 metre) height limit, but was topped by a tower-like element containing services which brought the total height to 170 feet (51.8m). 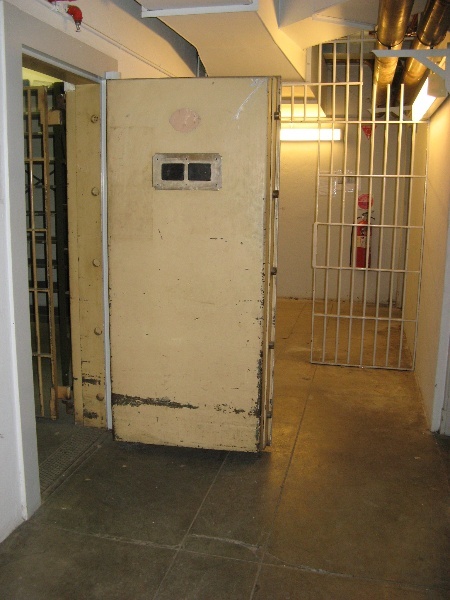 The bank occupied the ground floor, basement, mezzanine and first floor of the new building and the other floors were occupied by other federal government departments based in Melbourne. In 1988 the entire building was acquired by the Melbourne City Council as additional office space. An elevated walkway was built to connect the building to Council House in Little Collins Street and floors two to nine were refurbished. All of the Council departments were relocated in 2006 and the vacated floors were made available as subsidised office space for not-for-profit organisations. 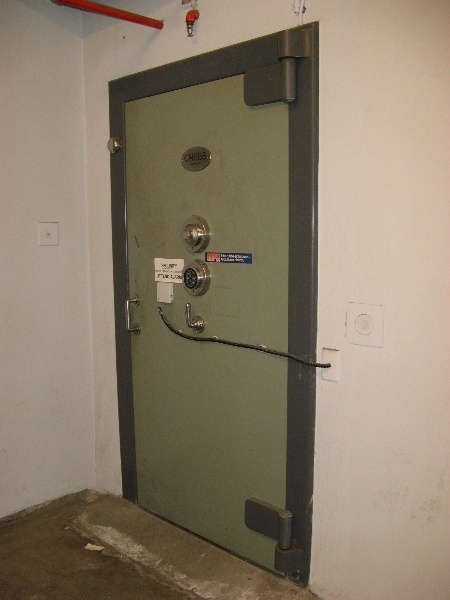 The Commonwealth Bank was privatised in 1991-96 and in 2009 vacated the lower floors. 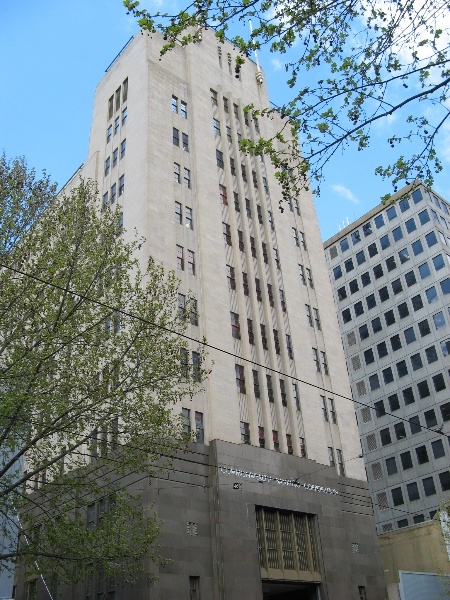 The former Commonwealth Bank of Australia building is an eleven-story office building in an Inter-war Stripped Classical style. It has been described as a Modernist interpretation of the Commercial Palazzo form, with a plinth-like base, a vertically-extended main section and a simplified attic storey. The prominent plinth, which has a row of incised horizontal grooves along the top, is clad with polished Dromana granite which contrasts with the paler Stawell sandstone used for the upper levels. 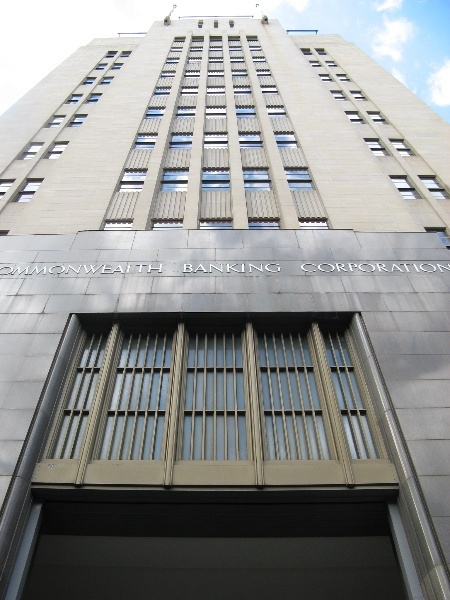 The monumental recessed marble-lined entrance vestibule has a prominent metal-framed highlight window above and above this the words COMMONWEALTH BANKING CORPORATION in metal lettering (replacing the original COMMONWEALTH BANK OF AUSTRALIA in the bank's then-characteristic Gothic-style lettering). The slightly projecting central bay of the facade is flanked by two narrower recessed bays. Above the plinth a dominant vertical character is given to the facade by the continuous stone mullions which define a series of narrow window bays. These window bays contain dark-coloured metal-framed double-hung sashes alternating with recessed stone spandrels enlivened with incised vertical grooves. 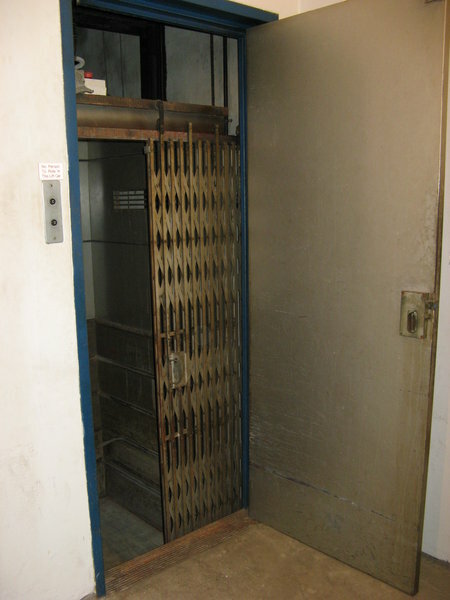 Internally many of the features in the lower levels once used by the bank survive, including the large double-height banking chamber on the ground floor; in the basement iron bar security grilles and doors, heavy steel strongroom doors, a Chubb night safe, and a bullion lift; and on the mezzanine and first floor levels many of the original parquet floors. 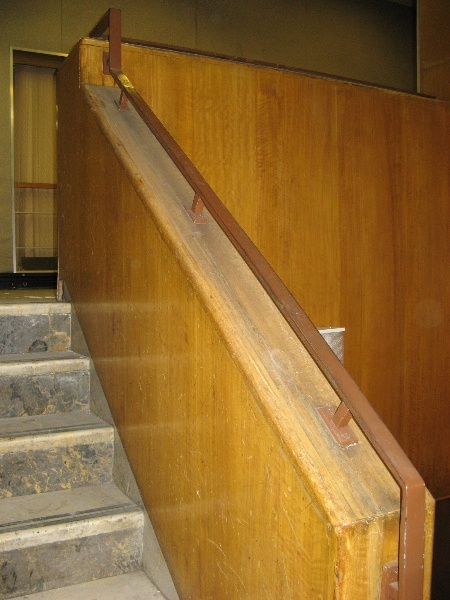 The stairwells are also largely intact, some with timber panelling or marble cladding, but most with original floor and wall tiling and handrails. 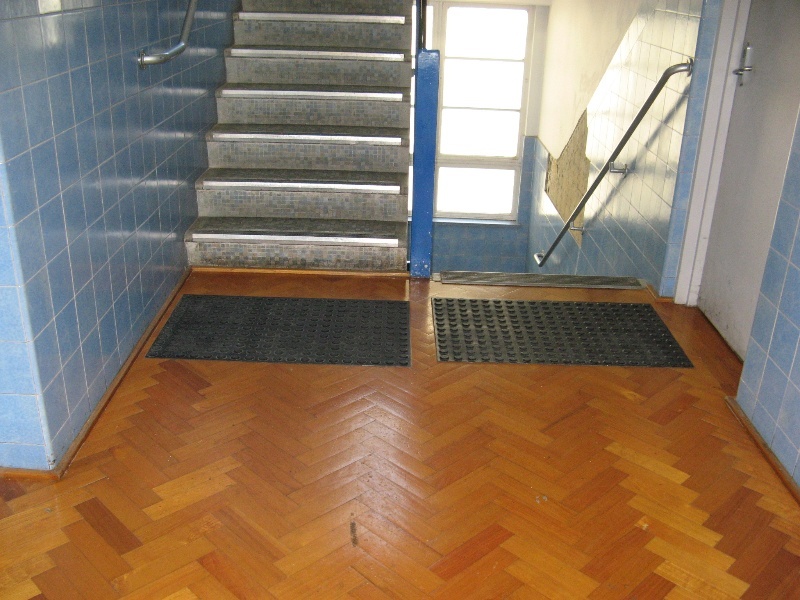 The floors above the first floor have been refurbished and apart from the stairwells contain none of the original features. 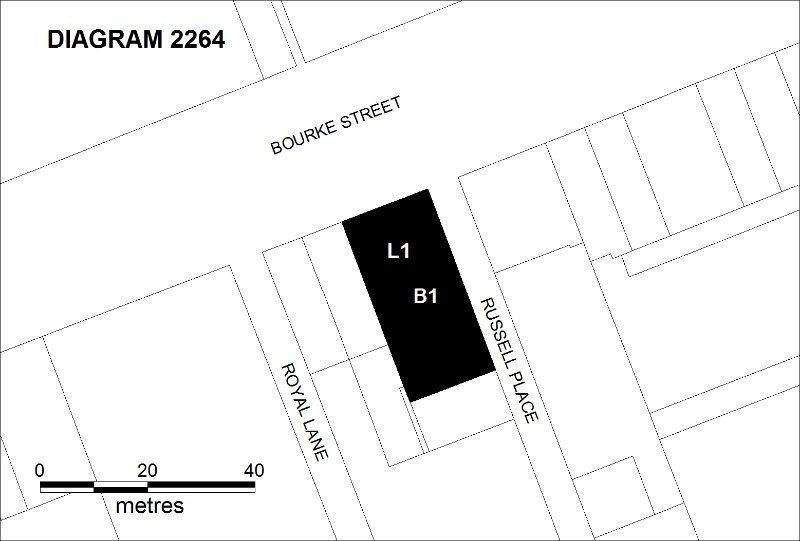 This site is part of the traditional land of the Wurundjeri people. The former Commonwealth Bank in Bourke Street is of architectural and historical significance to the state of Victoria. The former Commonwealth Bank of Australia building is historically significant for its associations with the Commonwealth Bank of Australia, which was formed in 1911 by the Australian Government as the national bank for the new nation and operated as a government bank until the 1990s. The Bourke Street premises are a reflection of the intensive phase of physical expansion undertaken by the Bank in Victoria during the 1930s. It was constructed during the first years of World War II and is significant as a remarkable construction achievement in the face of wartime limitations on the availability of labour and building materials, with deliberate attempts made to utilise wherever possible only local materials and non-ferrous metals. It was one of the largest construction projects in Melbourne at the time. 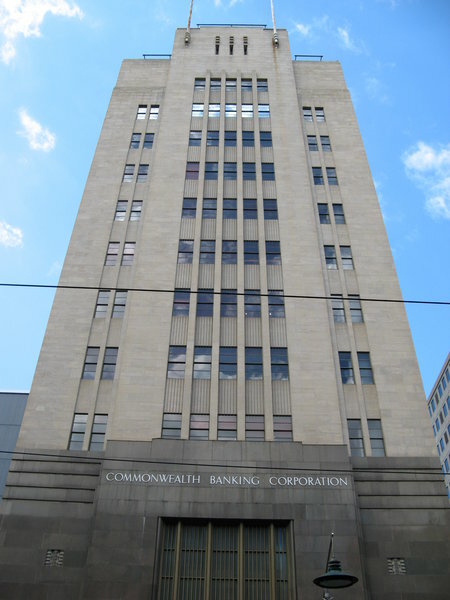 The former Commonwealth Bank of Australia building is architecturally significant as an outstanding and substantially intact example of the Commercial Palazzo type which also reflects the progressive styles of the 1930s: the abstraction of classical elements of the Stripped Classical style, and the dominant vertical expression of the Streamlined Moderne style. It was one of the tallest buildings in Melbourne at that time and remains a dominant and striking element in the city streetscape. 1. All of the building marked B1 on Diagram 2264 held by the Executive Director. 2. All of the land marked L1 on Diagram 2264 held by the Executive Director being the footprint of B1 and being part of Lot 1 on Title Plan 740584D. Australia's first banks were established early in the nineteenth century, either as private companies or as partnerships. State Government banks, created and guaranteed by colonial (later state) governments, were established to promote land settlement and rural development, and to accept savings deposits. In 1911 (a decade after the Australian Colonies federated), Andrew Fisher's Labour Government decided to establish a government bank for the newly formed nation. In the succeeding decades, many State Government banks established in the nineteenth century were amalgamated into the Commonwealth Bank. The Commonwealth Bank of Australia was founded under the Commonwealth Bank Act 1911. It opened for business on 15 July 1912 with a staff of twelve at a solitary branch at 317 Collins Street, Melbourne, and also operated through 489 agencies located in post offices throughout Victoria. During the following year, capital city branches and postal agencies were established across Australia. The infrastructure and customer base expanded after mergers with State Banks in Tasmania (1912) and Queensland (1920). In 1916, the Commonwealth Bank's headquarters moved from Melbourne to grand newly-built premises on the corner of Pitt Street and Martin Place, Sydney, a building which was used in the design of the bank's moneyboxes for many years. The expansion of the bank was modest during its first decades, but began to expand more rapidly during the 1920s. During the Great Depression of the 1930s, the Commonwealth Bank was considerably enlarged by amalgamations with the State Bank of Western Australia (1931) and State Bank of New South Wales (1931). This resulted in an expansion of retail operations into new chambers, with the bank embarking on an intensive building program, which was concentrated in Victoria but slowed dramatically with the onset of WWII. The Commonwealth Bank was fully privatised in stages from 1991 until 1996. The site of this building was purchased by the Commonwealth Bank in 1938 in order to 'cater for its growing savings bank business. Sketch plans were drawn up by the Commonwealth Government's Department of the Interior. It was noted at the time that although the Commonwealth was 'immune from the by-laws of the Council', including Melbourne's 132-foot (40 metre) height limit, this limit was respected by the architects. The bank proposed an eleven storey building (reaching the height limit) crowned by a tower-like element, containing lift equipment, air-conditioning plant and water storage, that brought the total height to 170 ft (51.8 m). It was envisaged that the bank would occupy only the basement, ground, mezzanine and first floors, while the upper levels would be occupied by other federal government departments based in Melbourne, which would provide a potential source of rental revenue. Preliminary plans for the building had been completed by March 1939 and a perspective drawing appeared in the Argus soon after (16 May 1939, p 4), noting that 'a modern vertical treatment has been adopted for the facade, which will be faced with granite up to the second floor with sandstone beyond'. Most of the working documentation for the project was prepared by the Works & Services Branch (Victoria) of the Department of the Interior under its new Works Director, H M Rolland, who had been appointed in July 1939. The surviving architectural and services drawings (in the National Archives) are mostly dated between October 1939 and April 1941. Among those involved with the project include Harold Bloom, Claude Dainton, William Lacey and Patrick Windsor. Tenders for the construction were called in September 1939, with the lowest tender accepted, for £122, 856 from Lewis Construction Pty Ltd.
Construction began in November 1939. The steel structural frame incorporated three girders, each 6 feet (1.83m) deep and weighing 44 tons, to span the width of the ground floor banking chamber above the mezzanine level. In a significant effort to minimise the need for imports during the war virtually all of the materials were locally sourced, except for some elevator parts that had to be obtained from Great Britain. The base of the facade was clad with polished granite from Dromana, upper levels in white sandstone from Stawell, and the walls and floor of the vestibule in pink and grey marble from Mudgee in New South Wales. Wherever possible materials essential to the war effort were not used, including the substitution of non-ferrous metals, and not aluminium as originally specified, for internal trims. 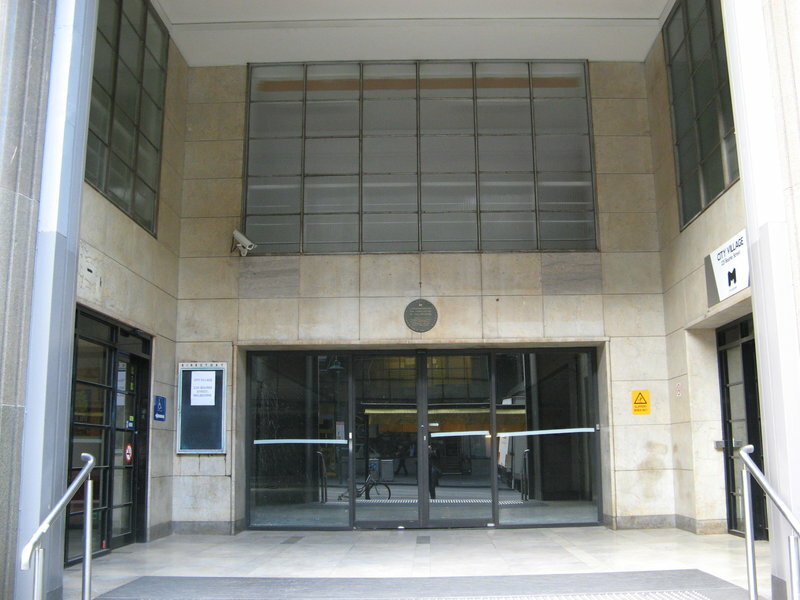 The new branch opened for business on 2 December 1941, though because of the war there was no opening ceremony. Early tenants of the upper floors were the offices of the War Production Executive and the Works & Services Branch (Victoria) of the Department of the Interior in 1941, and in 1942 the office of the Commonwealth Public Service Inspector moved into the second floor. Following the creation of the new Department of Works and Housing in 1945 this department occupied the building for two decades. It was also occupied by the office of the Commonwealth Auditor (1953-68), the Grain Elevators Board (1956-68), and, after the Department of Works moved out, two divisions of the Post-Master General's Department: the Engineering Central Administration (from 1968) and the Drafting Section (from 1969). In 1988 the entire building, which backed onto Council House in little Collins Street, was acquired by the Melbourne City Council for additional office space and to provide rental income from the bank, which continued to occupy the lower floors. An elevated walkway was built to connect the upper levels of two buildings. Levels two to nine of the bank building were extensively refurbished in stages during the early 1990s. By the late 1990s the upper floors accommodated various MCC departments, including Land & Survey, Parks & Recreation, City Projects Design and Health Services. 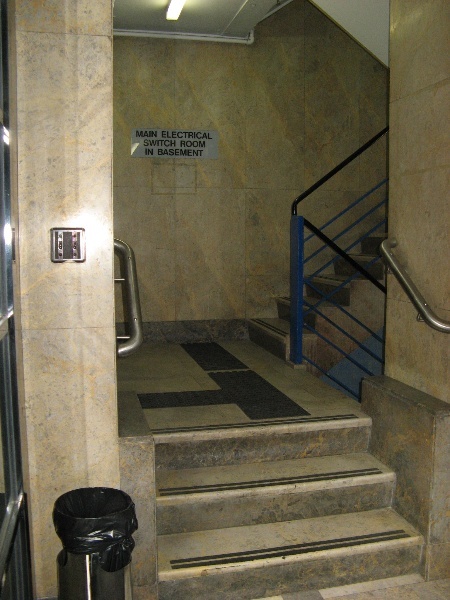 In 2002-2010 the space to the left side of the entry vestibule was used as a cafe. 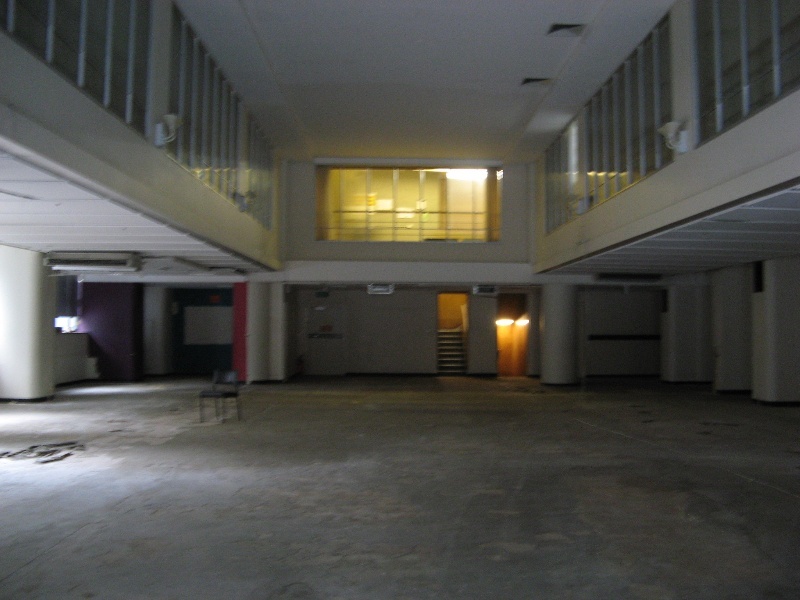 In September 2006 all MCC departments were relocated to Council House 2, and the vacated floors were made available as subsidised office space for not-for-profit organisations, an initiative known as the City Village. In 2009 the Commonwealth Bank vacated lower levels and in 2010 these remain vacant. This outstanding modernist building was constructed in 1939-41 by the Commonwealth Government as the main Melbourne branch of the Commonwealth Bank, founded in 1911 as a government bank for the new nation. General Conditions: 1. All exempted alterations are to be planned and carried out in a manner which prevents damage to the fabric of the registered place or object. General Conditions: 2. Should it become apparent during further inspection or the carrying out of works that original or previously hidden or inaccessible details of the place or object are revealed which relate to the significance of the place or object, then the exemption covering such works shall cease and Heritage Victoria shall be notified as soon as possible. General Conditions: 3. If there is a conservation policy and plan endorsed by the Executive Director, all works shall be in accordance with it. Note: The existence of a Conservation Management Plan or a Heritage Action Plan provides guidance for the management of the heritage values associated with the site. 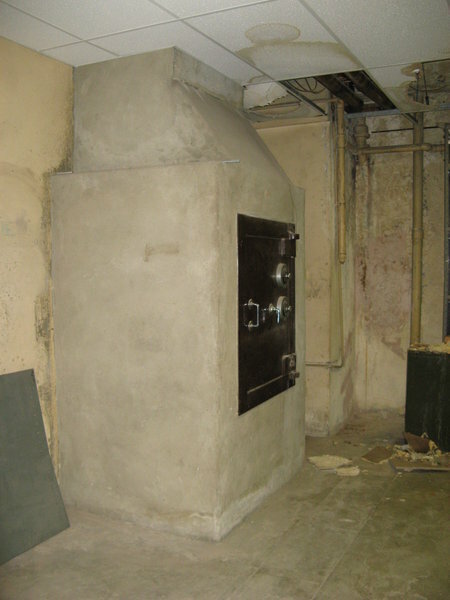 It may not be necessary to obtain a heritage permit for certain works specified in the management plan. General Conditions: 4. Nothing in this determination prevents the Executive Director from amending or rescinding all or any of the permit exemptions. General Conditions: 5. Nothing in this determination exempts owners or their agents from the responsibility to seek relevant planning or building permits from the responsible authorities where applicable. Minor Works : Note: Any Minor Works that in the opinion of the Executive Director will not adversely affect the heritage significance of the place may be exempt from the permit requirements of the Heritage Act. A person proposing to undertake minor works may submit a proposal to the Executive Director. If the Executive Director is satisfied that the proposed works will not adversely affect the heritage values of the site, the applicant may be exempted from the requirement to obtain a heritage permit. If an applicant is uncertain whether a heritage permit is required, it is recommended that the permits co-ordinator be contacted. The significance of the place lies in its rarity and intactness as an Inter-war Commercial Palazzo with influences from the progressive styles of the 1930s: the Stripped Classical and the Streamlines Moderne. All original features on the exterior and interior of the building should be retained.